The book, The 7 Habits of Happy Kids, is a children’s book that teaches the kids the timeless values and principles written in The 7 Habits of Highly Effective People. 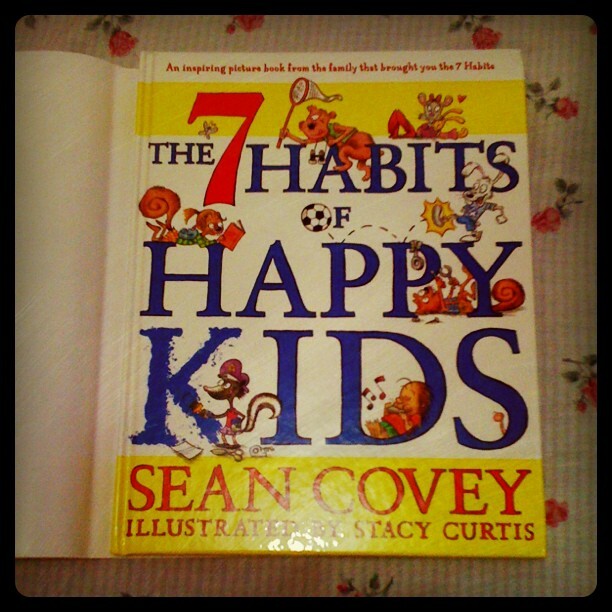 Penned by Sean Covey, son of Stephen Covey himself, author of the highly acclaimed book The 7 Habits of Highly Effective People, the book contains amusing stories that children 3 years onwards can easily relate to. The stories present the 7 habits that we should help instill in our children for them to reach their full potential and live a well balanced life. The stories are all well-written, Sean Covey wrote them with so much warmth that children and parents alike can easily relate to them. The illustrations by cartoonist Stacy Curtis are endearingly eye-catching, they made reading the book a pleasurable experience indeed. At the end of each story, guide questions and tips on how to discuss and reinforce the habit are provided, making it easy for parents to relate the habits to their children’s lives for proper application. Habit 2: Begin With An End In Mind (Have a Plan). Instill in them the habit of having a plan. Teach them that planning ahead leads to good things, including being in a better position to help others. Encourage them to pick one thing they need to do better and start doing it. Habit 4: Think Win-Win (Everyone Can Win). Habit 6: Synergize (Together is Better). We must teach our children synergy, that is valuing differences and then working together to create a better solution than what anyone could do alone. We must teach them to acknowledge each and everyone’s unique’s strength and began playing as a team. Habit 7: Sharpen the Saw (Balance Feels Best). We must teach our children to take time to renew the 4 parts of who we are: body, heart, mind, and soul in order to find balance in our life. Thanks for this advice, Blanca! I have a two years daughter that right now has started to develop her personality and this advice come just at the right time. Thanks again! I think it would be good to start this habits to kids while they are still young so they grow up with this becoming their second nature. It’s indeed fun to be a kid sometimes haha! When I was a kid, I used to read fairytale books – my bed time stories. 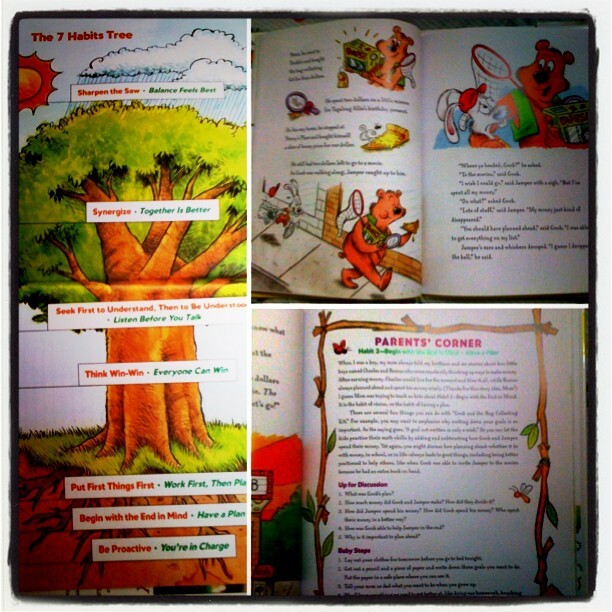 We should instill to kids the importance of reading at early age they’ll feel the interest and benefits will follow. Covey is a good writer. I’ve read some of his books. It’s good that you’ve started reading a book anew. Read more and you’ll enjoy and even well-informed. the RIGHT way to deal with their attitudes. These are great guides for parents like me. I have read the book, and I never know there is a version for kids! It’s actually the same habits, but with interesting pictures/illustrations. it’s one of the best book I’ve read. This is a great book and it has been greatly summarized by this post. These habits are really great and is really healthy for children. Just more blogs like this above. More articles on the web should be that usefull like this one. For more tips and tricks how to be more effective I would like invite you on my blog. I am not gonna argue with this articles. Steven Covey is my mentor as well and he dleiver so good value. To carry it along without problems it imbibes perfect dimensions of 190.
in easy to understand language and covers each and every aspect of the TVs. Entertainment is the idea with this system, and its power proves it. When trying to grow a small business you need easy to use, cost-effective ways to market your product. using any of these services. in an accident. Whether he means or not, he should be responsible for his actions and pay the damages he caused. Some need extensive investigation before the chances of success can be properly estimated. this is for childs right? web site dailly and get nice information from here all the time. styling, the Chantilly range is also comprehensive. have a simple and easy to repeat set of sounds, and this is what makes them so catchy. I believe that iss one of the most vital info for me. What’s up everyone, it’s my first visit at this site, and piece of writing is truly fruitful in support of me, keep up posting these types of content. it. The power unit will simply plug into a standard wall socket and no further installation will be needed. There are also so many models you can choose between, there will unquestionably be a doorbell out there suitable for you. Yeah I totally agree with you. “Do what you have to do so you can do what you want to do.” This is not only what I teach my kids but also what I always remind me to follow. Thanks for sharing with us. Looking for a professional and license lawyers that you can trust and dedicated to your business? There are lawyers who has specialty then look for them at averyashoorian.com.